Another week has gone by and so little done here. I started my Vertebrate paleontology class this week and if you think it takes a lot of work to take one, just imagine the amount of time it takes to design one. So today, we announce the mystery fossil from Monday. Did you have any idea what it was? It stumped everyone on the Facebook page, so if you couldn’t figure it out, don’t feel bad. It was a hard one. These are not terribly uncommon fossils, but most people are completely unfamiliar with them, despite the fact that anyone who visits a public aquarium has seen its living relatives. 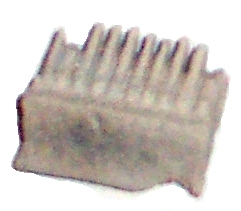 This is part of a tooth plate from a ray, most likely Aetobatus, the eagle ray. They are filter feeders eating plankton and have been around since the Miocene 20 million years ago. While none have been found in Arkansas that I know of, they have been found in pretty much every state around us, so I expect so collector out there somewhere has probably found some here. Check us out Monday for a new fossil! UPDATE: I need to correct a mistake I made in this post. 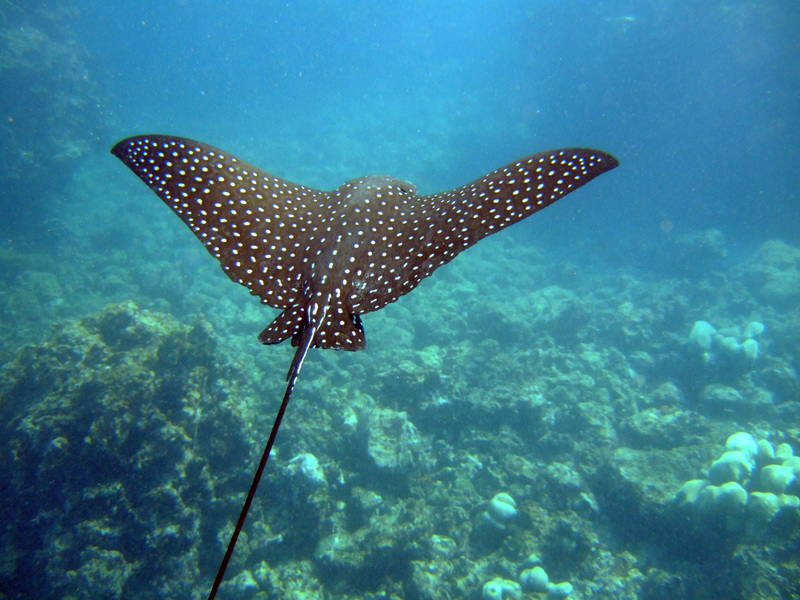 Eagle rays, like Aetobatis here, were and are not filter feeders. The large rays, like the Manta ray in the same family, are indeed filter feeders, the smaller rays, like Aetobatus and its close relative Myliobatis, another ray that lived in the area at the same time (as well as earlier in the Eocene over 40 million years ago), were durophagous, meaning they used their teeth to crush shelled prey, such as clams, crabs, and shrimp. 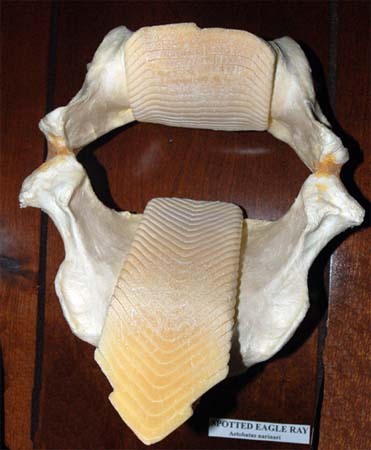 The main part of the tooth brought to bear on the prey item is the flat, plate-like part. For this picture and much more information on the current species of eagle rays, go to the Florida Museum of Natural History. By paleoaerie in Fossils of Arkansas, Mystery Monday on January 17, 2014 .